Carbon Fibre technology - Conductive Heated Fabric NEW. Comes complete with everything you need including battery charger. Battery pocket on top of hand. 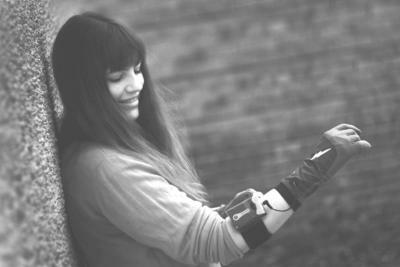 Armband option (armband & pocket supplied free) or alternative 1.3 metre cables to replace batteries in jacket pockets. 2 x 7.4V rechargeable batteries with heat control, & charger. Sponge lightly to wash- do not tumble. 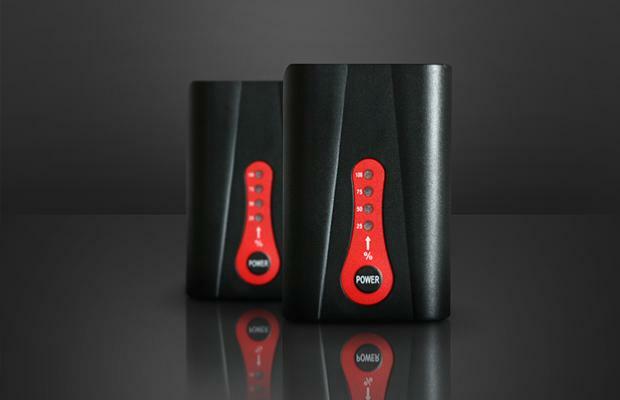 Charge batteries in car using separate accessory - available on product page. Limited Stocks sizes- L, XL (sizing is different for grey & black). 3 hours of heat per battery in continuous use at 100%. 3-4 hours of heat per battery in continuous use at 75%. 4-5 hours of heat per battery in continuous use at 50%. Tiny gel texture dots on fabric to increase overglove friction. The difference between grey and black G3 Gloveliners is simple - grey have no battery pocket on top of the hand and rely entirely upon the armband where another battery pocket is housed. The black G3 gloveliners include a pocket on top of the hand, and therefore offer both options. A 1.3M cable, which will permit a battery to be housed in a jacket or shirt pocket, can be purchased from our Accessories Section. 1 pair of black or grey G3 Gloveliners. 2 rechargeable 7.4V batteries with heat control panel. 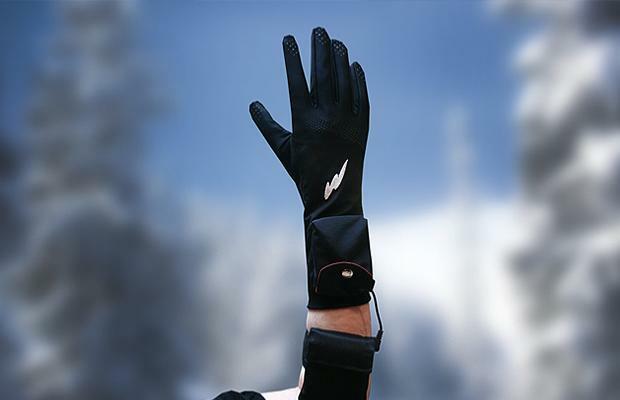 Free pair of windproof, waterproof ski gloves/ overgloves (if available - may not be included). 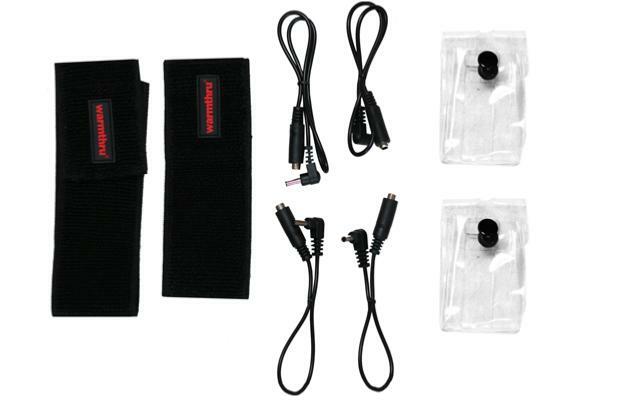 One pair of armbands+extensions to permit battery replacement in jacket pocket. 1 battery charger with 2 jacks. Gloveliners must be worn with Windproof, Waterproof overgloves to trap the heat. 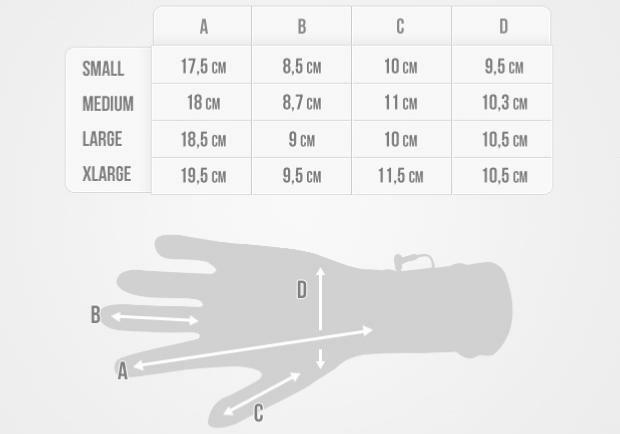 We are supplying overgloves, free of charge, with some sizes but stocks are limited so they may not be included in your package.